The Medical Laboratory Technician training program focuses on histology, clinical chemistry, microbiology and hematology, studying bodily fluids and tissue samples to detect pathogens. Other key aspects of the training include equipment and quality management. All of this makes the microscope one of the most important tools. By connecting them with one another you can create a digital classroom, where the lecturer can view live images from all of the microscopes on his iPad at any one time. Together with the Friedrich Schiller University Jena, Germany, ZEISS has put together a microscopy manual for students and (future) teachers. The booklet contains practical experiments for education in biology. The English version is now available free of charge. ZEISS attended this year’s Microscience Microscopy Congress (MMC) – a three day bi-annual exhibition held in Manchester and the largest of its kind in Europe. Over a hundred companies attend MMC, giving delegates the chance to get hands-on with of the latest microscopy equipment. Microscopy is an essential part of the life and earth sciences at universities. Students use microscopes to gain deeper insight into preparing and examining human, animal or plant cells. For this, they need various microscopy techniques and software for image acquisition and documentation in their lectures. 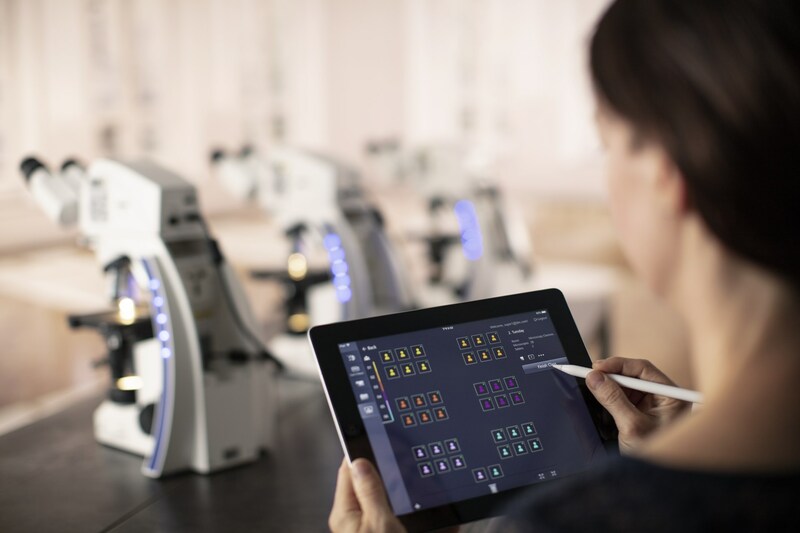 And this is where the Digital Classroom comes into play: connected ZEISS microscopes, the ZEISS imaging software Labscope and digital equipment such as tablets enable an interactive approach to learning and create a motivating and engaging atmosphere for students. They are also inspired by the possibility of working with the tools they use in their everyday lives at university. A recently equipped digital classroom at the IGA campus in Berlin supports students in environmental education. With the IGA campus and the newly built environmental education centre, the IGA is focusing on encouraging the learning through play of children and young people and allowing people of all ages to experience nature in an active way. A laboratory with 28 networked ZEISS Primo Star and Stemi 305 microscopes, as well as accessories such as cameras, enables interactive learning. For the first time ever, ZEISS attended the UK Big Bang Young Scientists & Engineers Fair at Birmingham NEC presenting digital classroom solutions. This is the largest celebration of science, technology, engineering and maths (STEM) for young people in the UK.